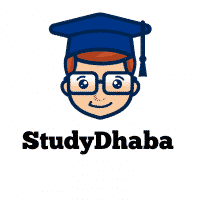 IAS Previous Years Papers Pdf Download – IAS Past Papers Pdf For UPSC 2017 -hello Friends Welcome to studydhaba.com .Here We are sharing Past 38 Years UPSC Prelims Papers for UPSC Prelims 2017 Exam. This File Contains Questions papers till 2016. Previous years Papers Are very helpful for Analyzing pattern of Exams .You can Analyse previous Years Pattern of Exam. On the Basis of That analysis you can Start your Preparation . The Best Way to Prepare for Any Exam is First Analyse previous Years Papers than prepare list of All topics which are Asked Frequently . IAS Prelims 2016 Exam will consist of objective type questions and carry a total of 200 marks. The question paper will be bilingual (Hindi/English). The paper will include questions from General Studies (GS) of 200 marks. There will also be Aptitude Test of 200 marks. Note – Paper 2 is Qualifying Nature .